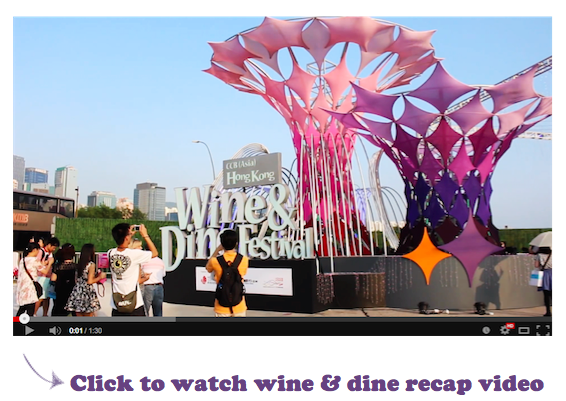 This is my second year going to Hong Kong Wine & Dine festival. Compared to last year, the major difference is that instead of holding it at the Central Pier, this year it is held at the old Kai Tak Railway. I don't know if they have troubles with renting the central pier space or they're trying to target different crowds, or maybe it's both. It took a good 1.5 hrs just to get from Central to the venue (half taking the MTR and half cabbing). All the decorations, the booths, and stages look pretty similar to last year. But then you're also missing the amazing Victoria Harbour view, with IFC towering on one side along with other buildings in Central and the view towards TST. There was still live music, a mixture of pop, live bands, and DJs playing. They also had MCs on the stage interacting with the crowd. We went straight for the food since it was 4pm and we hadn't ate anything yet. There were several booths that had really long lines, mainly the ones with BBQ meat or salami, ham, and sausages being served. On average, the food is a bit disappointing. Some of the stuff was overcooked or unseasoned. It just couldn't compare to last year. And also you couldn't buy any food with the tokens! Nothing is more annoying then having to get out cash and receive a bunch of change when your hand is full from holding wine and other food. The booths this year is also a lot more local than last year, with some signs in Chinese only, and most people spoke Cantonese. 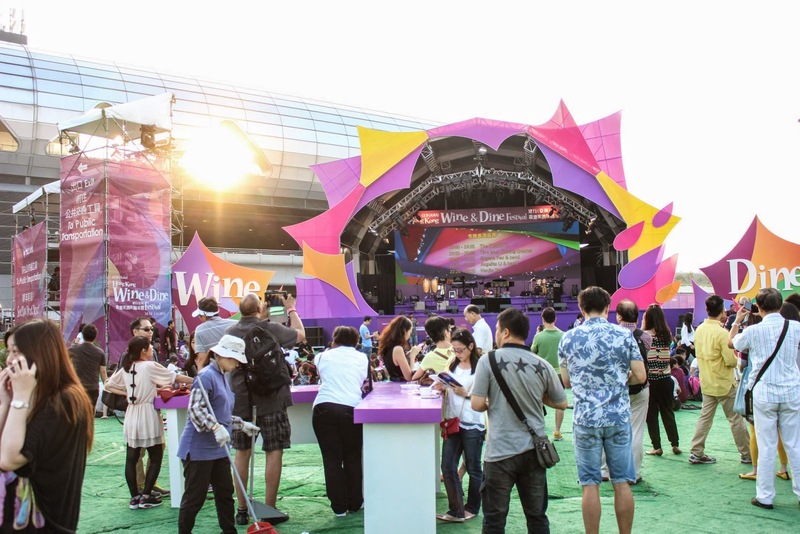 We literally felt like we were in attending a wine fair Shanghai or Shenzhen. And the only foreigners you see are the ones standing behind the really good wine & food booths. 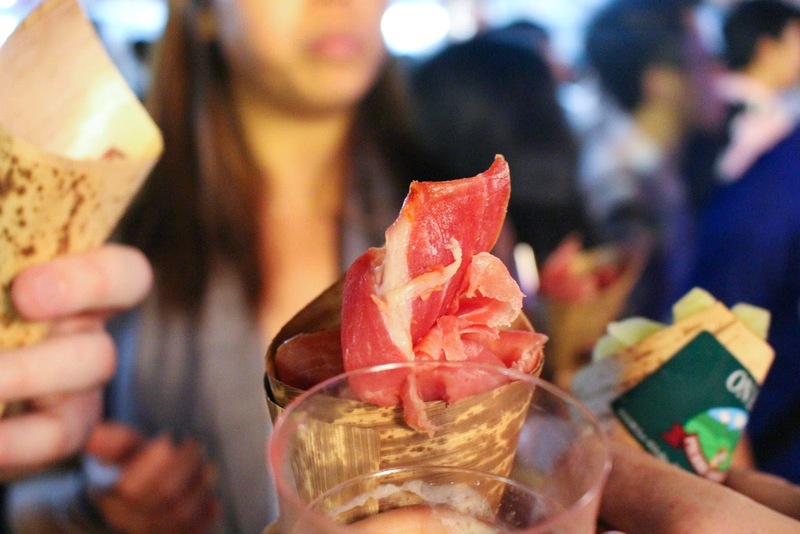 Nonetheless, we found our 3 trusty old booths from last year - Jelly Bird (Jello shot booth), Chateau Princé (Wine booth), and this booth that served salami & ham in cones. 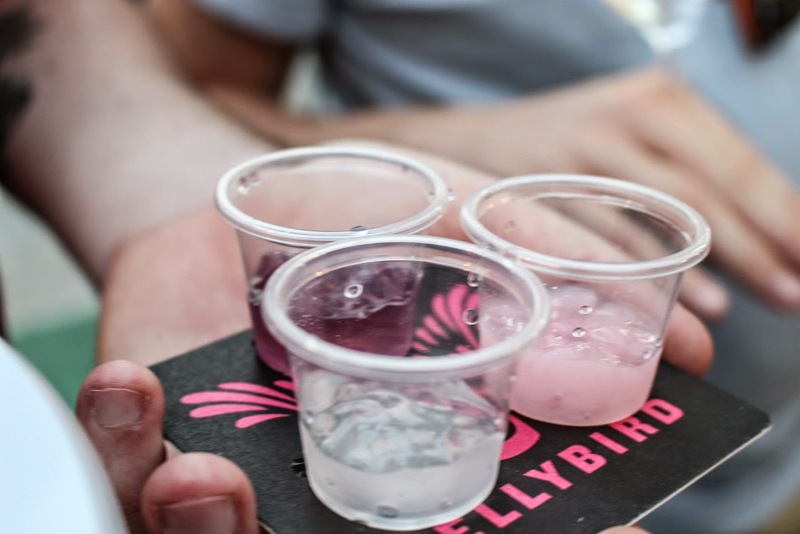 The jello shots are amazing! They were just 2 tickets for 6 shots, and they have a variety of good flavors, like Lychee, cherry, grape, and mango. 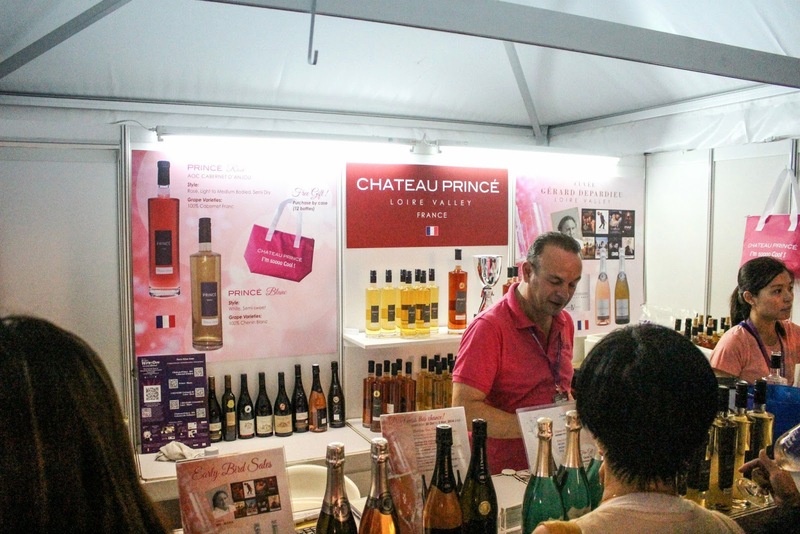 We actually did get wine from other booths, but they tasted horrendous compared to wine from Chateau Princé. Their Rosé won a prize last year, and it does taste that amazing. Last year we finished 2 bottles and this year we finished 1. I'm not a professional in wine at all, and I usually don't like drinking wine. But their Rosé is something I can continue drinking glass after glass. And of course to top if off, the best salami & ham. The booth is called "Onetik Dream up Bordeux". 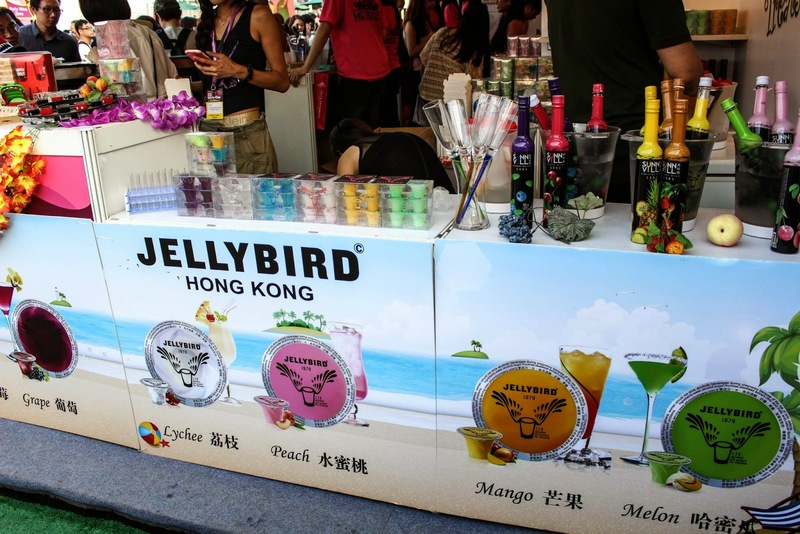 And I've tried looking up that name, but I have no idea if they have actual stores in Hong Kong selling this. I can't even find an official website! But I'm glad I was able to find it again this year. At the end of the day, we still got tipsy. And even though we had to take the shuttle bus back, there were buses coming every second so there's no need to wait. I wonder how next year's Wine & Dine will be like. But I'm definitely looking forward to Beertopia, which usually happens in March. Instead of Wine, there's lots of Beer! And the music is also a lot better, with house DJs and British bands playing. And the food is different as well. Instead of hams and cheese, you get burgers, hot dogs, and epic sweet potato fries. Hopefully Wine & Dine will realize this year's mistakes and reposition itself better next year.